First off- I wanted to thank you guys for the great response to my book “Beginner Chunky Knitting Patterns“!!! I wanted to let you know that the paperback version has just been released! ? Spring is upon us, but the mornings are still quite chilly here in NY. I wanted a hat that was warm but didn’t look too winter-y. 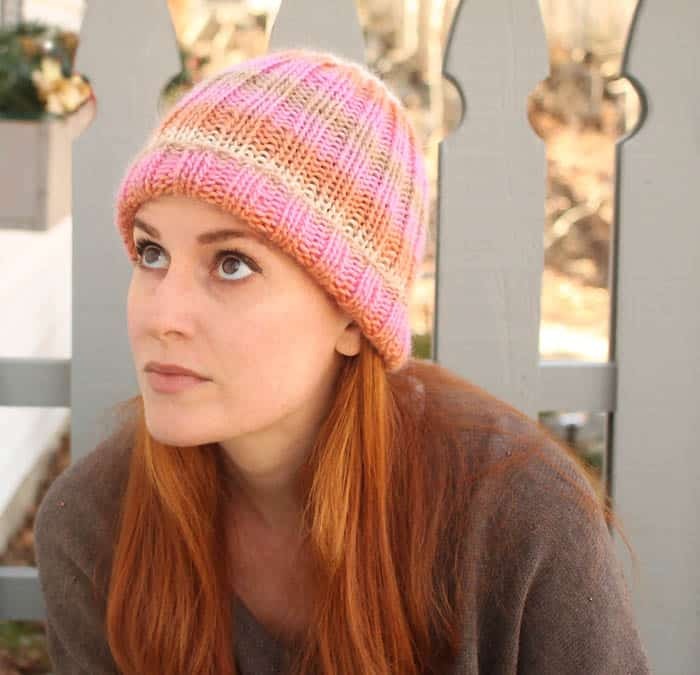 I also wanted something timeless so I created this Classic Ribbed Hat free knitting pattern. The simple design really shows off the colors. I bought this yarn from Amazon (free shipping with Prime!) and I love it! 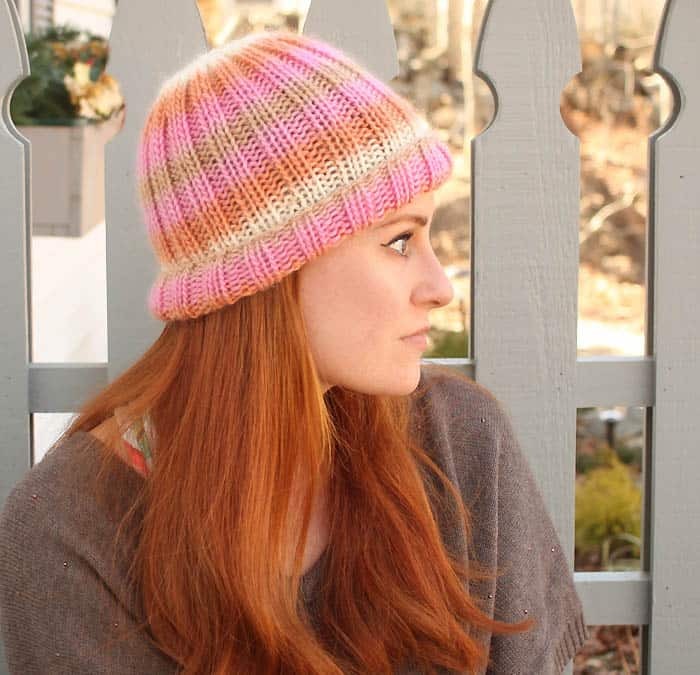 The self striping colors look so pretty together and it’s a good price for natural fiber yarn. I will definitely be purchasing this yarn again for future projects. It comes in a lovely blue colorway so maybe a spring hat for Indigo? I hope you guys like the pattern. Happy Knitting! Cast on 62 sts. Work in K2, P2 ribbing for 10 inches. Knit 2 together across round until 8 sts remain. Break yarn and pull through remaining stitches. Pull to tighten and weave in ends.